Our marijuana lawyers are frequently being asked about one particular cannabis derivative: cannabidiol, also known as CBD. The popularity of cannabidiol as used in CBD-only products, which do not contain THC and are non-intoxicating by design, has surged in recent years in the wellness community. 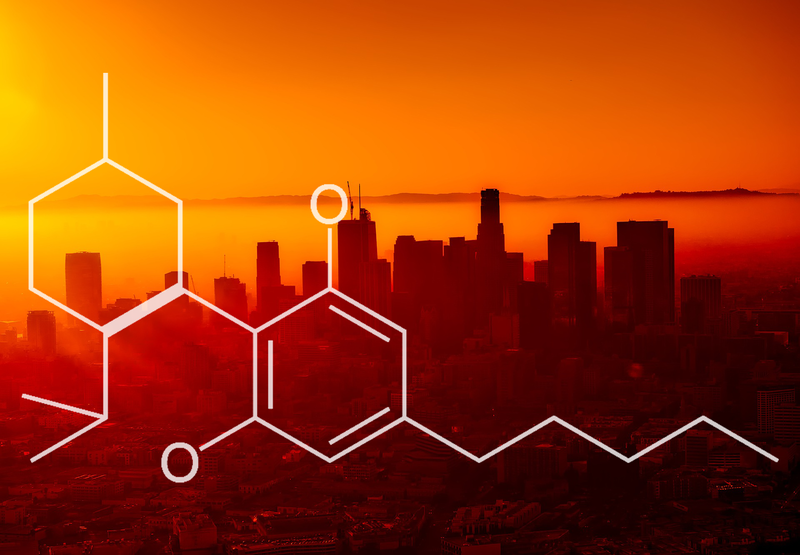 In Los Angeles, CBD products aren't just found at dispensaries, but can be bought over the counter at health shops and even a few high-end grocery stores. Given this wide acceptance, our clients often ask: “Do I need a license to sell CBD?” The answer may surprise you. CBD can be derived from hemp as well as cannabis plants. It is a common misconception that because hemp is non-psychoactive, its derivatives are therefore non-regulated, or that because CBD isn't an intoxicant, its sale isn't subject to existing marijuana laws. In fact, both of these assumptions are wrong: Hemp and CBD are regulated by federal, state, and local law (though few local jurisdictions are currently regulating hemp). In California, the SB-94 bill does not cover hemp; instead, it's regulated by the Food and Agriculture Code, which defers to federal law under the 2014 Farm Bill. For now, the Farm Bill only allows for the cultivation of hemp for research, and also requires registration with the state. Under federal law, the DEA has issued multiple statements to clarify that, as a cannabis derivative, CBD qualifies as a Schedule I controlled substance, the same as cannabis itself. However, this doesn't mean that CBD is without advocates beyond the state level: the FDA has determined that CBD has beneficial effects, and the World Health Organization is also evaluating the potential health benefits of CBD. You can play a role in shaping CBD policy by participating in the FDA and World Health Organization’s request for comment on CBD by September 13, 2017. This request was made in the hopes of gaining information on the “abuse liability and diversion” of a number of drugs – in other words, how easy it is for the use of these substances to become dangerous. The official notice listed 17 drugs, with a breakdown of their specific effects and uses. Of those substances, only CBD was deemed by the FDA to have positive qualities. The WHO’s judgment about the potential benefits of this marijuana derivative, informed by the FDA's text and submitted comments, will inform the organization’s recommendations about whether CBD should have international restrictions placed on its use. In its own way, though, the FDA’s statement may inform drug policy and cannabis law here in America. Stay tuned for part 2 of our Regulating CBD series next week.